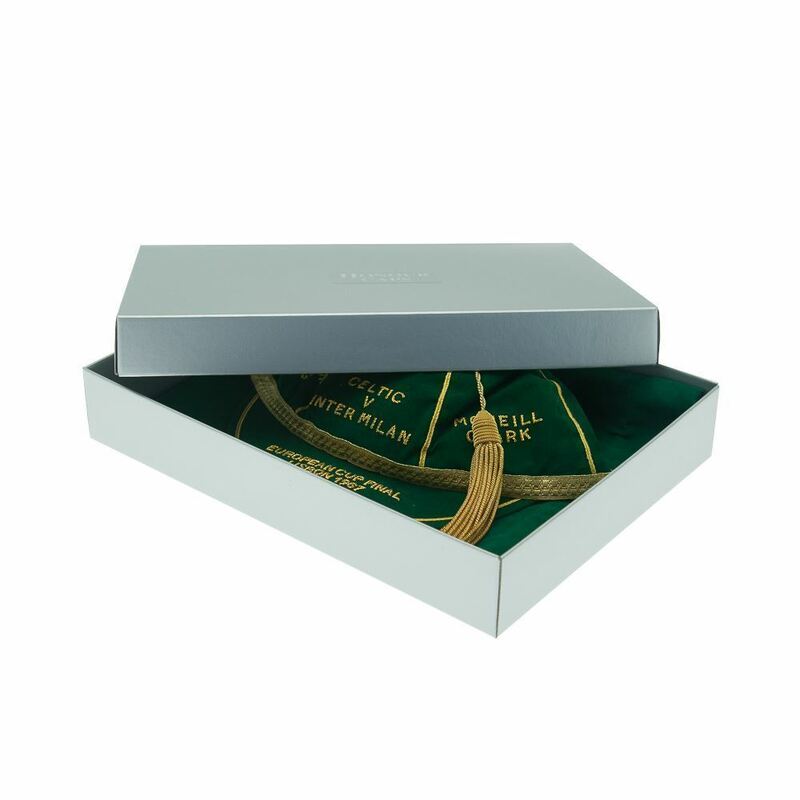 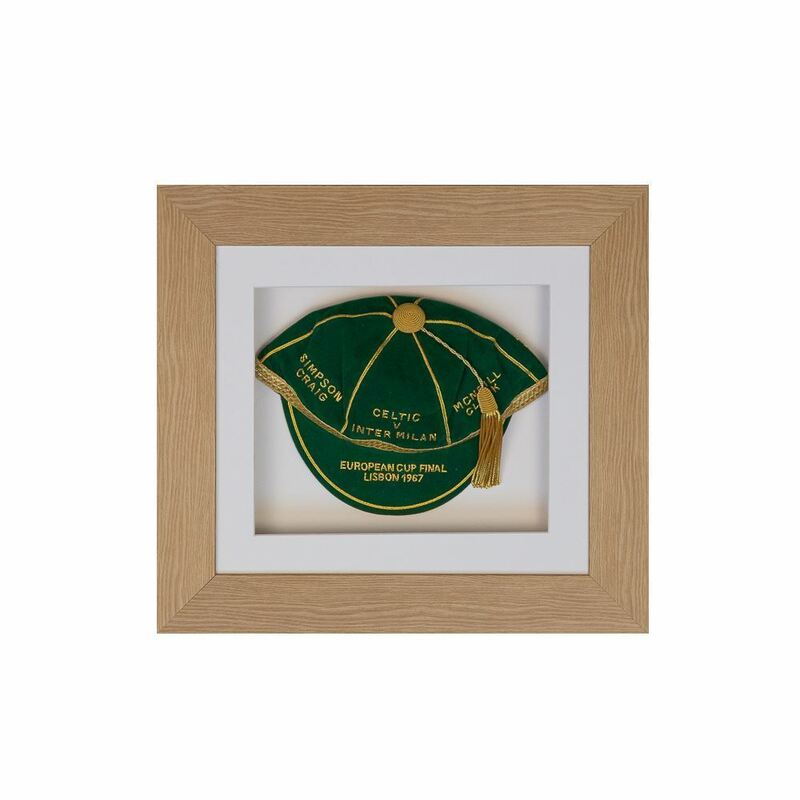 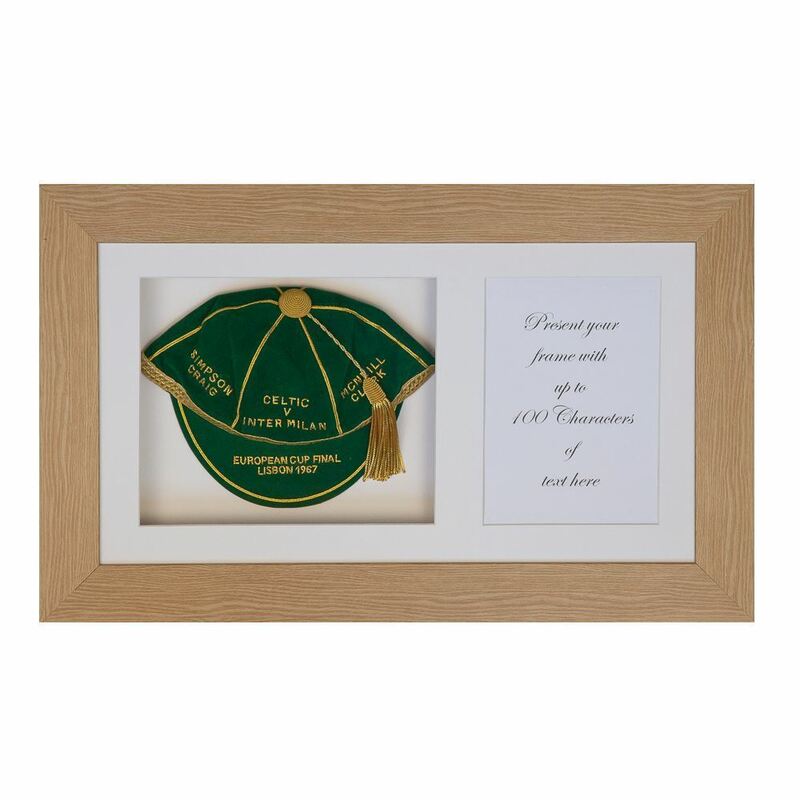 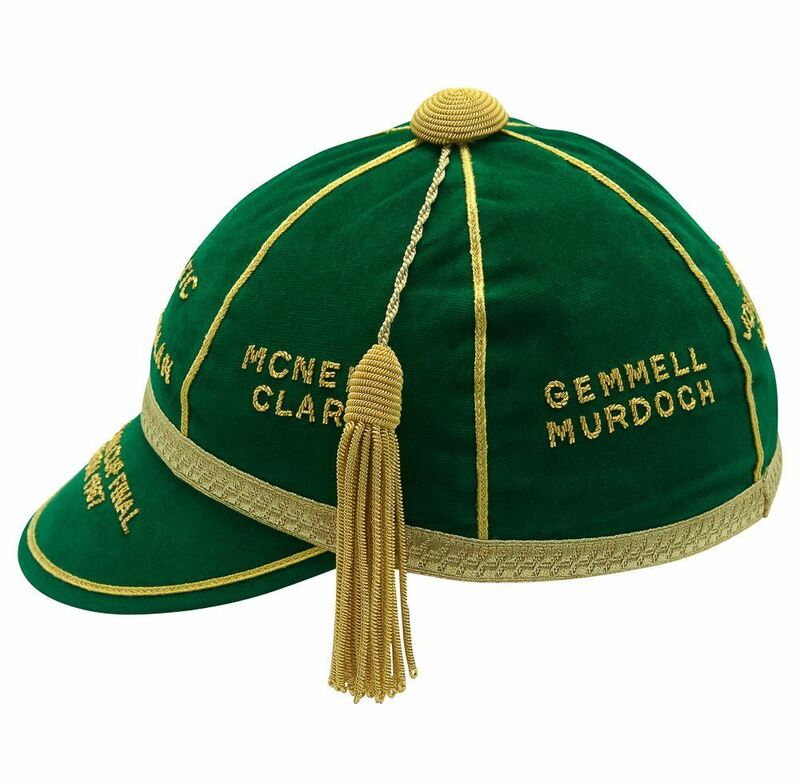 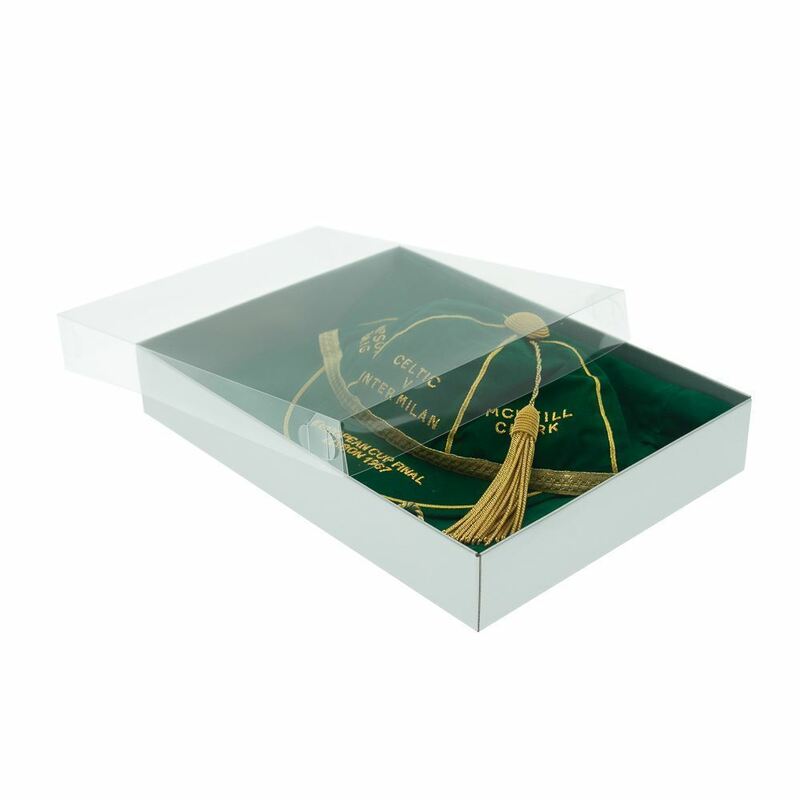 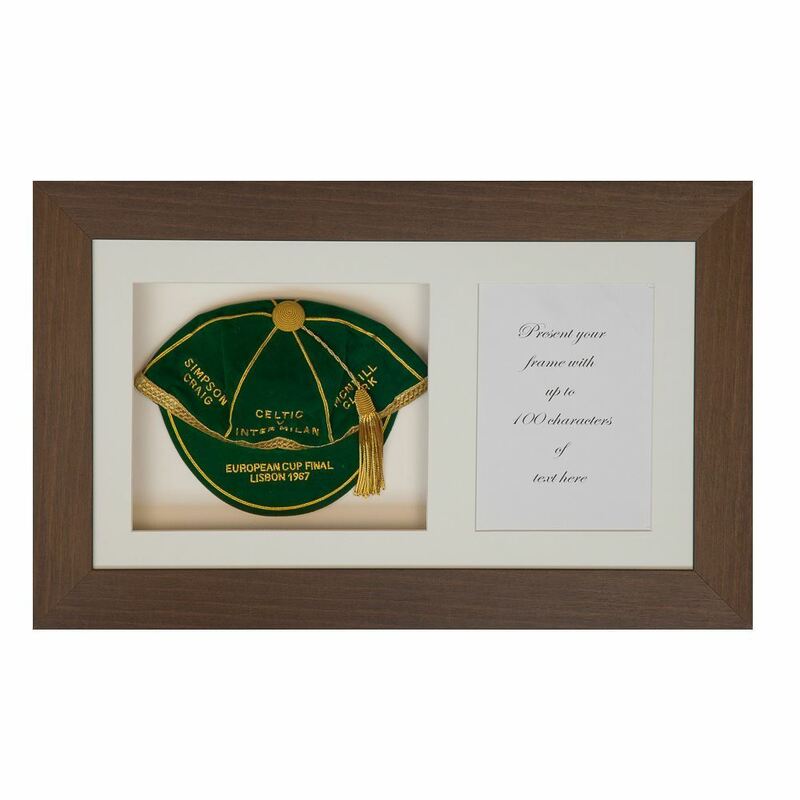 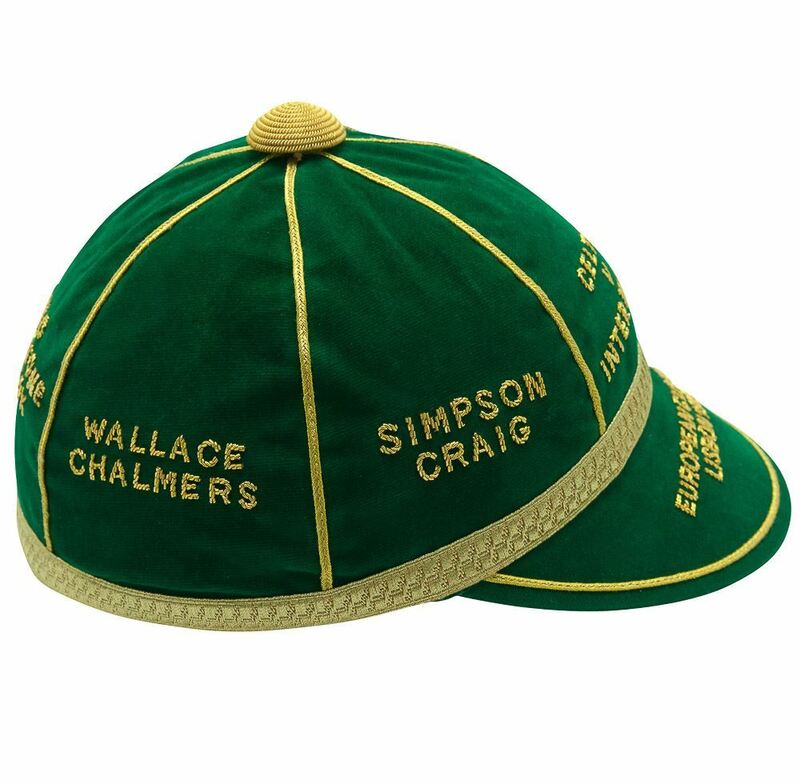 The cap is based on a classic green felt with gold coloured braiding. 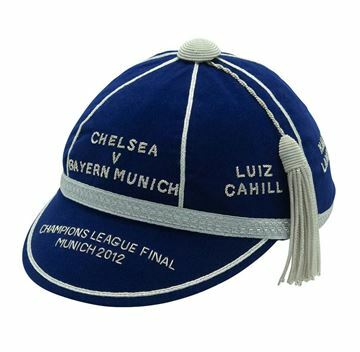 The handcrafted cap is unique and finished by hand with wire embroidered text. 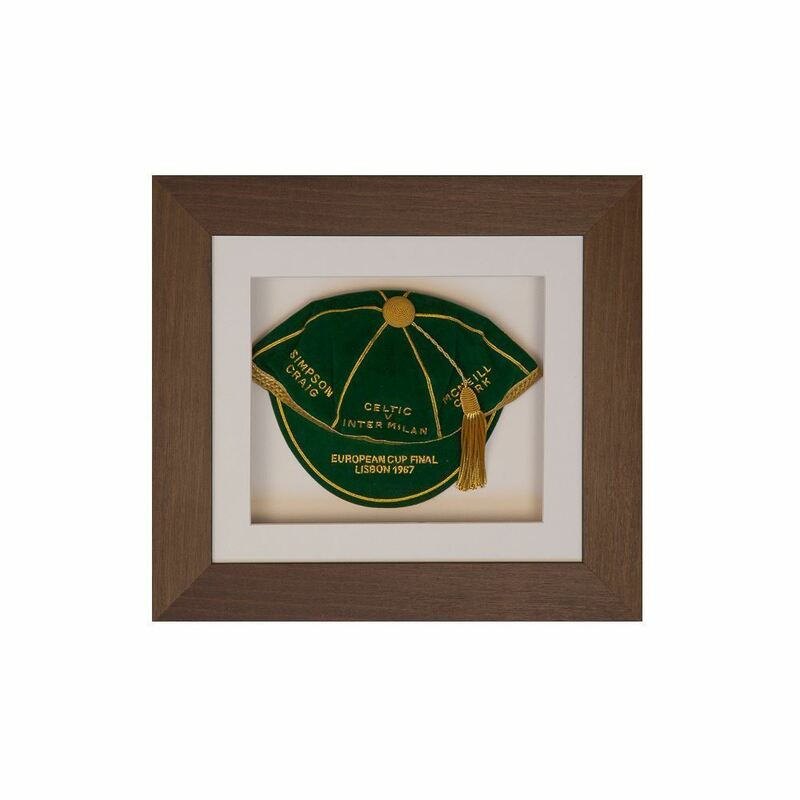 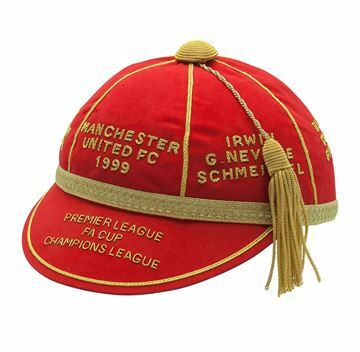 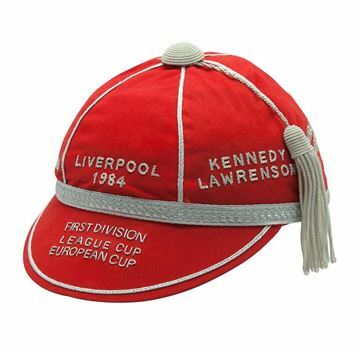 The names of the players are mounted on each panel of the cap with the collective achievement on the lip. 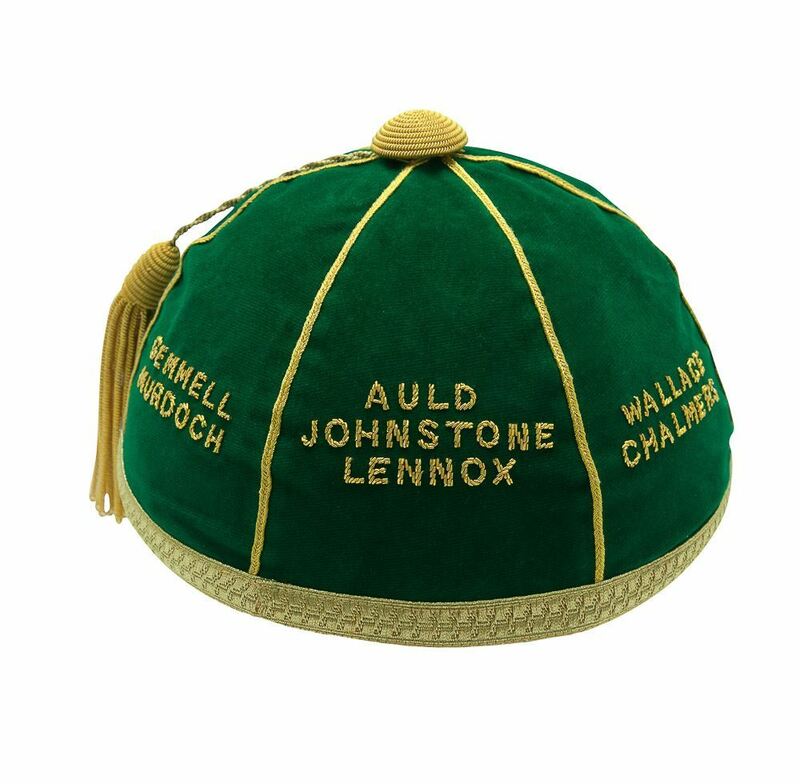 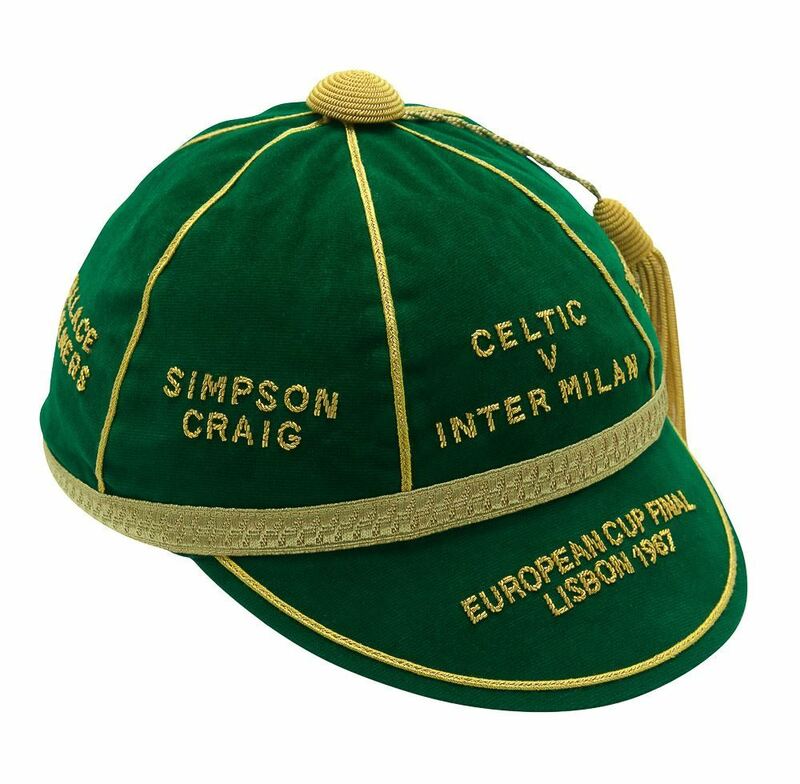 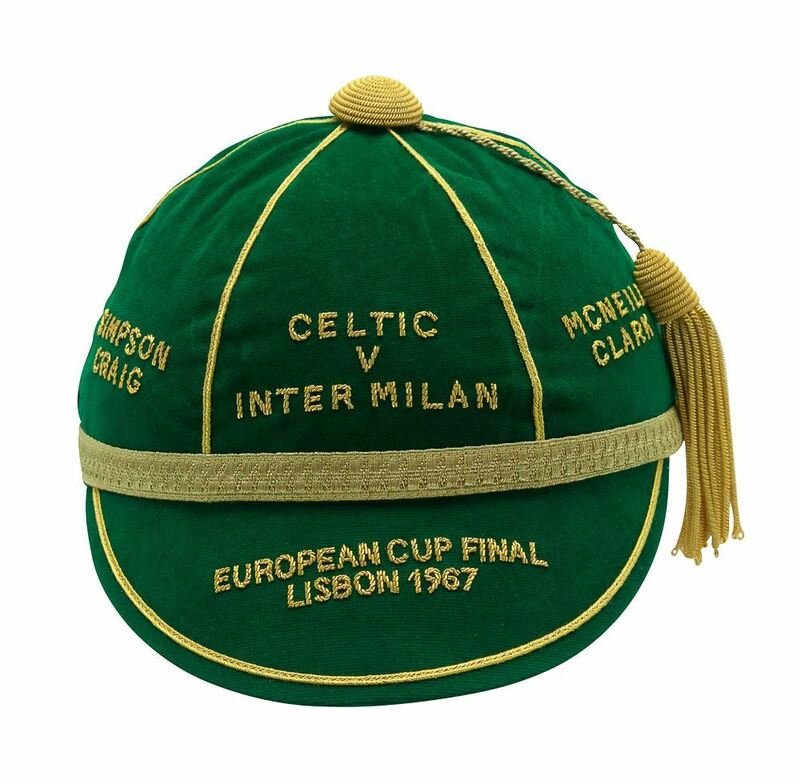 Celtic was the first club in the UK to win this prestigious tournament and we are proud to celebrate the win with this beautiful cap. 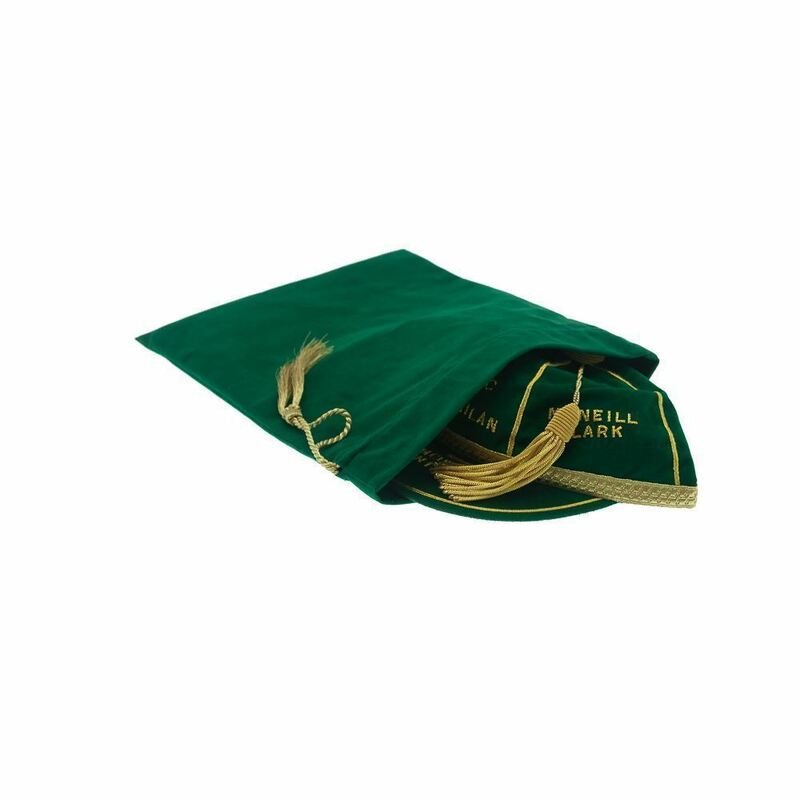 Caps we produce individually are always unique in design and we are the only stockists in the world of this remarkable Honour Cap.